Perhaps you are thinking about taking a trip, or maybe you have already planned your next vacation. If you cannot travel with your dog, remember to plan pet accommodations. Boarding your dog may be costly, and asking a friend or family member to care for a dog in their home is asking a lot. This is where you may want to consider hiring a pet sitter. 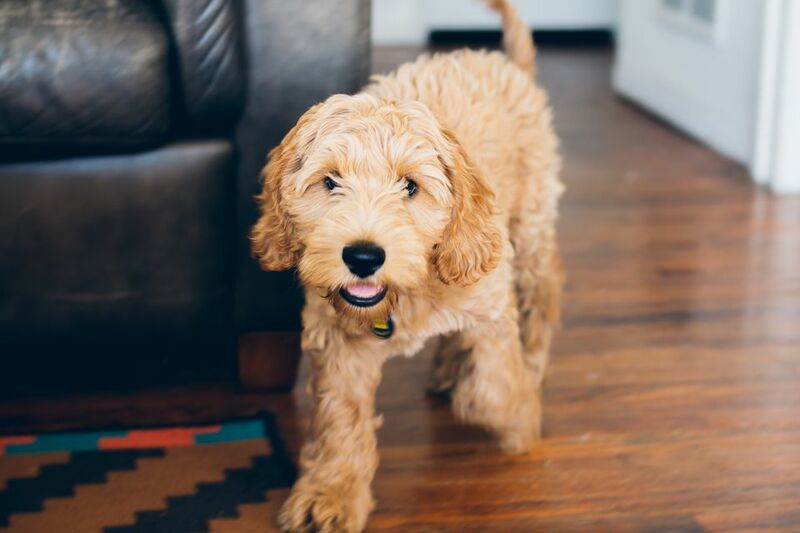 Pet sitters provide customized care for your dog, working hard to take care of your pet, all while reducing any separation anxiety or stress for both you and your dog. Pet sitters offer the service of caring for pets while their owners are away. They are often animal lovers with a background in animal care, dog training or pet grooming. Some pet sitters maintain a primary career while pet sitting on the side. Others will work full-time for a pet sitting business. Some pet sitters will even start their own businesses. Most pet sitters have their own pets and realize how hard it can be to leave your pets in someone else’s care. A good pet sitter wants to get to know you and your pet in order to offer the best care possible. And some pet sitters also offer services that you can use even when you are not out of town, such as dog walking and giving medications during the workday. Many pet sitters rely on word-of-mouth for new business. If you are looking for a pet sitter, ask other pet owners if they have recommendations. Talk to your veterinarian and the staff members at your vet’s office; you might find that one of the staff members does pet sitting on the side. If you prefer to hire a professional pet sitter from a nationally recognized company, you can search online at National Association of Professional Pet Sitters or Pet Sitters International for pet sitters in your area. Be sure to check references for potential pet sitters before you choose one. You may also wish to find a pet sitter who is bonded and insured in case something happens to your pet or your property while you are away. One alternative to finding a professional pet sitter is to find a group in your area that helps you connect with like-minded pet owners in your area who can watch your pets while you travel. In turn, you care for their pets when they are away. Plus, these groups usually have free membership. Search online or ask local pet professionals if they know of a group like this in your area. Once you have found some pet sitter candidates, discuss fees and policies in detail. Be clear about what you want, and then get an estimate of cost. Most pet sitters charge a base fee to come to your house, then a specific fee per pet. Additional costs may apply depending on the number of visits per day and special duties such as administering medications. Compare the prices of multiple pet sitters in your area to be sure you are being charged appropriately. When it comes to tipping your pet sitter, there are a few factors to consider: If you are paying a company to send a pet sitter to your home, a tip is especially appreciated, as the entire amount you are paying does not go into the pet sitter's pocket. However, if the pet sitter is the business owner or a type of "freelance" pet sitter, then the fees alone are usually sufficient; tipping is less customary in these cases. Instead of a tip, it may be a nice gesture to bring back a small gift or souvenir for your pet sitter upon your return. Most pet sitters understand that you may worry about your dog while you are away, so they understand that you might want to check in. A brief call once or twice while you are gone is perfectly reasonable. The rest of your trip will be more enjoyable if you know your dog is doing well.